Today I want to tell you about a line of beauty products that I have been trying for the last two months and that made me fall in love. The brand is called Tree Hut and is one of the top beauty brands in the US. Now it has arrived to Colombia with its exfoliating lines, gels and body creams. 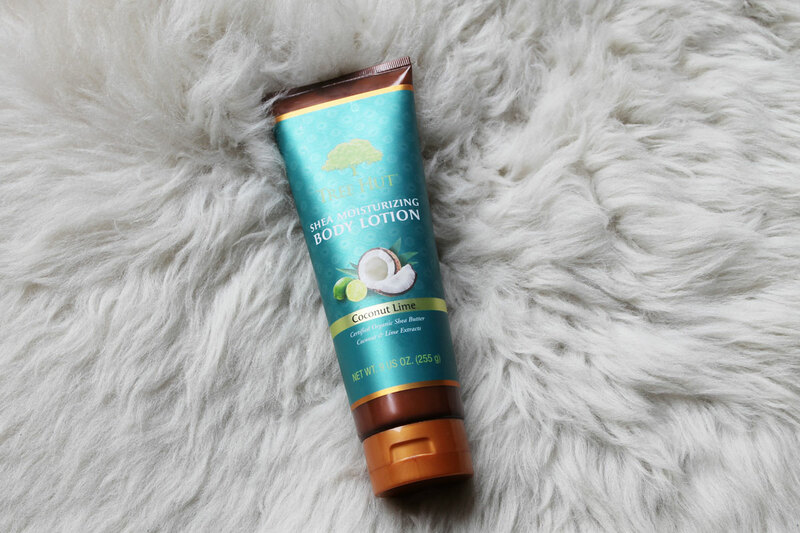 In this case I have tried the Coconut Lime line, which has a spectacular aroma, that helps to relax and take us to the tropics in a couple of minutes. All products are based on natural ingredients from different corners of the world like certified organic shea from Africa to Polynesian coconut shells. About the products I can only say for me they are perfect. Scrub has an oily texture, is quite thick and leaves the skin very soft. The gel smells very rich and makes a delicate foam. And finally the cream, which I found spectacular as it leaves the skin like silk and with a feeling of hydration. Score: 10 out of 10. Surely I will repeat. Hoy os quiero contar de una linea de productos que estuve probando últimos dos meses y que me tiene enamorada. La marca se llama Tree Hut y es una de las marcas de belleza corporal top en EE.UU. Ahora llego a Colombia a Fedco con sus lineas de exfoliantes, geles y cremas corporales. En este caso probé la linea Coconut Lime, que tiene un aroma espectacular, que ayuda a relajarse y llevarnos a trópicos en un par de minutos. Los productos se basan en ingredientes naturales de diferentes rincones del mundo como karité orgánica certificada de África hasta las cascaras de coco de Polinesia. En cuanto a productos, realmente no tengo ningún pero. Exfoliante tienen una textura aceitosa, es bastante grueso y deja la piel muy suave. El gel huele muy rico y hace una espuma delicada. Y finalmente la crema, que me pareció espectacular ya que deja la piel como seda y con una sensación de hidratación. Puntaje: 10 de 10. Seguro repetiré.